DELAND, Fla. -- Florida authorities say a woman who was beaten and held captive for two days at gunpoint by her boyfriend escaped when she convinced him bring their dog to an animal hospital - and then slipped a note to a staff member. 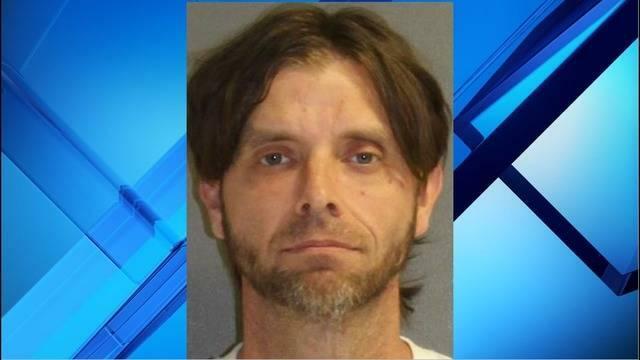 CBS affiliate WKMG-TV, citing the Volusia County Sheriff's Office, reports that 39-year-old Jeremy Floyd was arrested at DeLand Animal Hospital. He is being held without bond on domestic violence and other charges. Officials said that while at the hospital, the victim slipped a note to a staff member that said "Call the cops. My boyfriend is threatening me. He has a gun. Please don't let him know." The report says Floyd beat the woman Wednesday and refused to let her leave their home. Two days later, she convinced Floyd to let her take their dog to a veterinarian, although he wouldn't let her go alone. Investigators said that there were two bullet holes in the hallway of the home where the alleged violence took place, WKMG reported. Deputies said they arrested Floyd on charges of aggravated assault with a firearm, false imprisonment, possession of a firearm by a convicted felon, possession of ammunition by a convicted felon and simple battery. It's unclear whether Floyd has retained an attorney.